Relax and relieve stress and tension after a long day or hard week. Our relaxation massages uses a light to medium pressure in a smooth, gentle, flowing style to calm both the mind and body. It improves your circulation, so your organs and skin get more oxygen as well as moves fluid through your lymphatic system. It will help un-knot any muscles, improve range of movement, soothe aches and sprains, and encourage the skin to heal minor abrasions. Heal and restore your body for better movement with this modality. This healing massage uses light to firm pressure through a range of long, smooth strokes that increase circulation and ease tension. 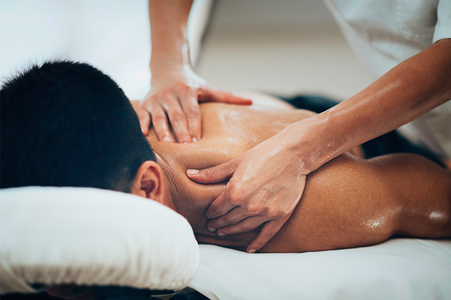 Our Swedish massage is the combination of many different techniques rolled into one session. During this therapy session the therapist will work with the soft tissues and muscles in the body to help restore balance and health. Slow and firm pressure addressing and resolving the underlying problems that can lead to chronic pain and stiffness. Relieve chronic muscle tension that resides deep in the muscle tissue, tendons, and fascia. Unlike a Relaxation massage this modality is designed to heal muscle injury. Ease body tension, reduce fatigue, relieve headaches, and promote restful sleep. Massage therapy during pregnancy is a healthy way to reduce stress and promote overall wellness. Massage relieves many of the normal discomforts experienced during pregnancy, such as backaches, stiff neck, leg cramps, headaches, and edema (or swelling). In addition, massage for pregnant women reduces stress on weight-bearing joints, encourages blood and lymph circulation, helps to relax nervous tension, and can help relieve depression or anxiety caused by hormonal changes. Enhance the effects of a massage with hot stones. This 80 minute session combines a full body massage with heated stones to ease away stress and tension. Heated stones are placed in specific locations along the back to promote deep relaxation and penetrate sore or inflamed muscles. The soothing nature of our hot stone massage can balance the metabolism and calm the mind, helping to shed your stress and worry. The heat from the stones promotes blood flow, resulting in better oxygenation to your various organ systems. Kalologie 360 Spa locations are independently owned and operated franchisees of Kalologie Spa Destinations LLC.